Our Beard Oil is made with Almond, Grape seed, Hemp seed and essential oils. It is specially to keep your beard soft and your skin conditioned as well. This beard Oil has a wonderful outdoor scent. The essential oils selected are used for preventing acne and as an aid against irritation. 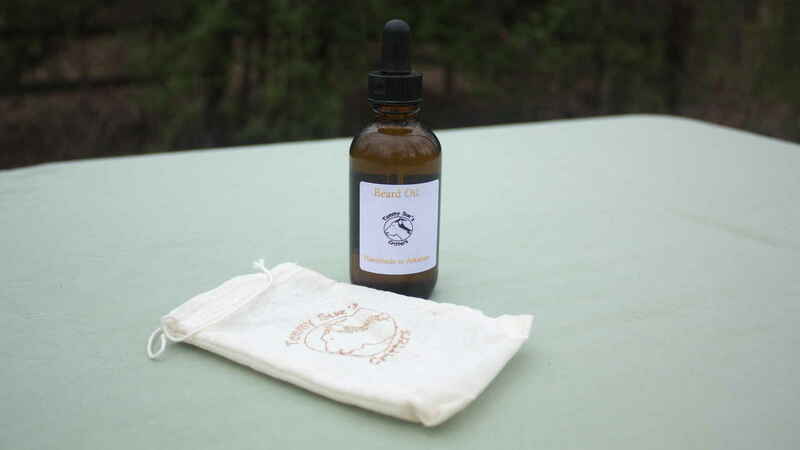 The beard oil is in a two ounce amber glass bottle with a dropper. To use, you apply a few drops to your palm, rub hands together and smooth on beard after showering.